Tonight, 15 cities from Greece and abroad (Santorini among them), will have the opportunity to connect and forget their differences while enjoying fresh Greek "short" cinema. 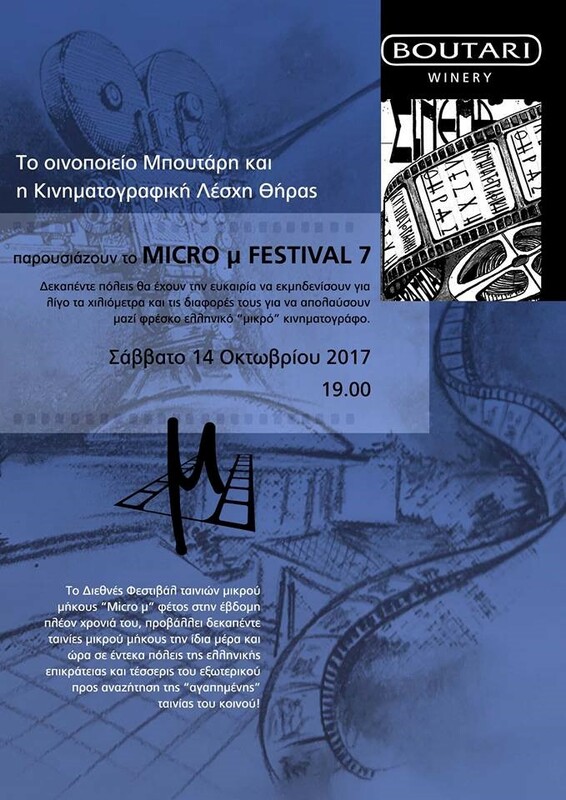 The MICRO μ festival this year features fifteen short films shown on the same day and time in all cities, in search of the audience’s "favourite" movie. The festival's success and attraction are guaranteed by the direct connections and the simultaneous vote of the public! The movies are shown with English subtitles. At the Boutari Winery, in Megalohori, at 19.00.